If you use Neosporin First Aid Antibiotic Ointment for small cuts and scrapes, you may have been dismayed to notice stains on your clothes or cloth furniture after application. These stains come from the petroleum base used to make the active ingredients in Neosporin easier to apply. 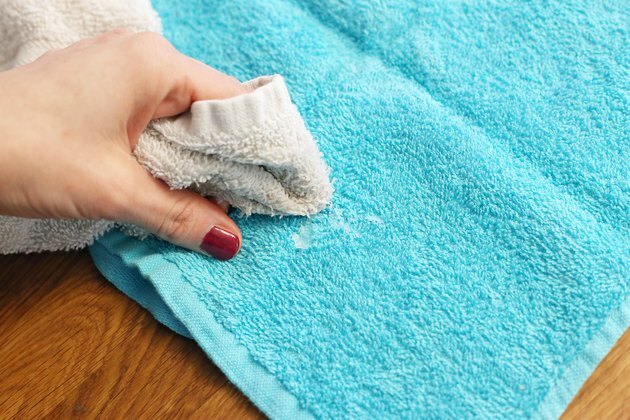 Using appropriate stain removal techniques will remove all traces of Neosporin from fabrics. As soon as you notice a Neosporin stain on your clothing, remove as much of the ointment as you can. The flat edge of a knife is a good tool to scrape away the excess Neosporin. A couple of clean cotton swabs also work well in removing the extra ointment. 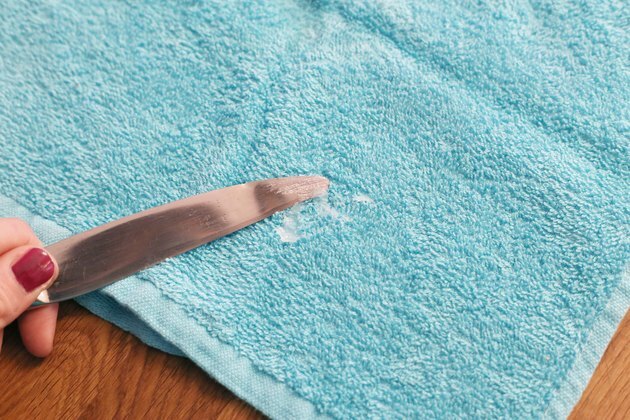 Once you are satisfied that you have removed as much Neosporin as possible, your next step will be to use an oil solvent to loosen the grease from your clothing. Liquid dishwashing detergents are specially formulated with solvents that break down oil and grease. Squeeze a couple of drops of dishwashing detergent straight onto the Neosporin stain. Use your fingertips to create white foam, making sure to completely saturate the stained area with detergent. You should be able to see suds on both sides of the fabric, so turn it inside out to make sure that the stain is completely treated. Start with a couple of drops of detergent and add more as needed. Let the treated stain sit for 5 minutes and then rinse the area thoroughly with hot water. Launder or dry clean the garment as usual. If the Neosporin stain has not been completely eliminated, repeat the process. 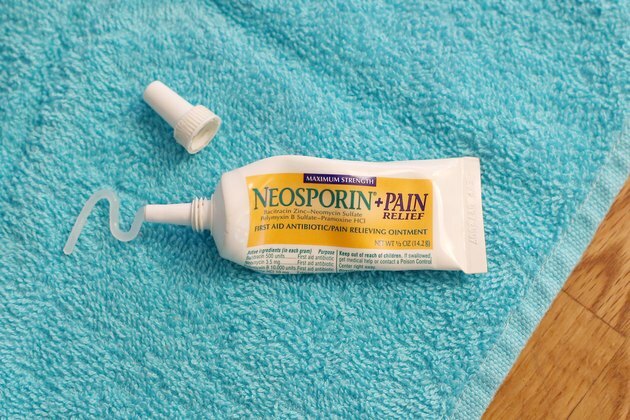 You can find another way to eliminate Neosporin stains in your medicine cabinet. Rubbing alcohol is another solvent that breaks down grease. Use a clean white cloth or cotton balls to apply alcohol directly onto the Neosporin stain. Rub the alcohol soaked cloth or cotton ball directly onto the stain. As the alcohol breaks down the grease of the petroleum jelly base, use a clean section of the cloth or new cotton ball to blot up the diluted grease. Once you have applied the rubbing alcohol and absorbed as much of the Neosporin stain as possible, rinse the area with warm water. Again, launder or dry clean as usual. If your rug or cloth furniture was stained, allow it to air dry.